196 pages | 27 B/W Illus. There is enormous current interest in urban food systems, with a wide array of policies and initiatives intended to increase food security, decrease ecological impacts and improve public health. This volume is a cross-disciplinary and applied approach to urban food system sustainability, health, and equity. The contributions are from researchers working on social, economic, political and ethical issues associated with food systems. 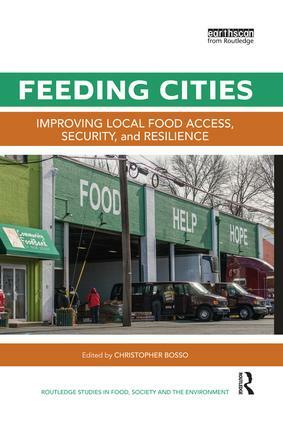 The book's focus is on the analysis of and lessons obtained from specific experiences relevant to local food systems, such as tapping urban farmers markets to address issues of food access and public health, and use of zoning to restrict the density of fast food restaurants with the aim of reducing obesity rates. Other topics considered include building a local food business to address the twin problems of economic and nutritional distress, developing ways to reduce food waste and improve food access in poor urban neighborhoods, and asking whether the many, and diverse, hopes for urban agriculture are justified. The chapters show that it is critical to conduct research on existing efforts to determine what works and to develop best practices in pursuit of sustainable and socially just urban food systems. The main examples discussed are from the United States, but the issues are applicable internationally. 1. What You Want, When You Want It? 4. Super-sized Strategies for Improved Health: Does Reducing the Density of Fast Food Restaurants Matter? Christopher Bosso is Professor of Public Policy and Urban Affairs and Coordinator of the Consortium for Food Systems Sustainability, Health, and Equity at Northeastern University, Boston, USA. His areas of interest include food and environmental policy, science and technology policy, and the governance of emerging technologies.